“Outrageous Fortune: Jay DeFeo and Surrealism” shares the title and was published alongside Jay DeFeo’s exhibition at Mitchell-Innes & Nash. Dana Miller, art historian and scholar, introduces the catalogue with an essay. She speaks of DeFeo as taking, “enormous chances throughout her career by changing media, shifting styles, and deviating beyond the usual bounds of scale, efficiency, practicality, or propriety. Without this risk-taking, this faith in both herself and forces larger than herself, DeFeo would not have made works of such raw grandeur and heartrending tenderness. Perhaps the saying is true: Fortune does indeed favor the brave.” The exhibition highlights paintings, photographs, collages and works on paper that align to Surrealist viewpoints. Fully illustrated in color the catalogue perfectly compliments the exhibition. 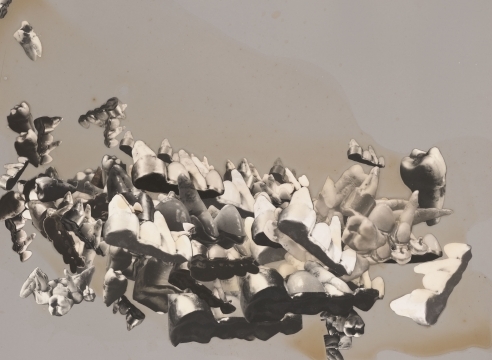 DeFeo had a fascination with anthropomorphic potential of mechanical objects which can be seen in her collage work. Throughout her career DeFeo’s interest in juxtaposing forms, intermixing traditional genres and experimenting with chance reveals a personal version of a Surrealist sensibility. 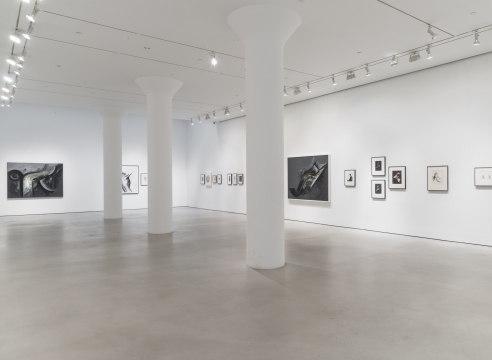 Published on the occasion of Outrageous Fortune: Jay DeFeo and Surrealism at Mitchell-Innes & Nash. 116 pages, fully illustrated with 92 color images and 1 black and white image.